Via Meshtex Printing Services, we offer high quality, trade only digital fabric printing services, and the production (including CMT services) of finished products from printed textiles – both digital, and rotary screen printed fabric. This includes fabric by the metre, and also homeware, workwear, fashion and furnishings products. Such as cushions, pillowcases, tea towels, seat covers and pads, tablecloths, oven gloves and mitts, napkins, tote bags, makeup bags, linings, and much more. 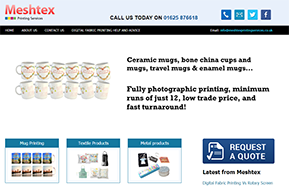 We also offer mug printing services (ceramic, bone china and metal or plastic travel mugs), and the bulk production of a wide range of other kitchen and homeware products including wooden products, fibre reinforced plastic products, glass, and metal products. 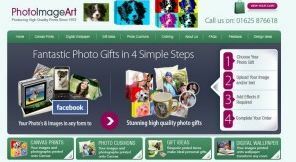 After beginning to produce canvas prints for existing clients, and local businesses, we developed the website in order to supply canvas prints and other photo gifts to a wider client base.Our original Photo gifts website, Photo Image Art, was established in 2005. Over the years we have increased our product base to include many other popular photo gifts, including personalised cushions, photo tea towels, photo iPhone cases & dozens of other high quality photo gifts. Thanks to our high quality standards, our focus on great customer service, and competitive pricing for high quality bespoke products, we have developed a very good customer base, and continue to go from strength to strength within this market. With our gift printing activities, as with rotary screen engraving, we have very high quality standards. With the photo gifts business, we found that we were having to work very hard to source blank printable gifts for our photo gifts business, that were high enough quality in terms of product quality, image quality and in some cases also colour fastness. This lead us to have to either buy in larger quantities of the items we had found which were high enough quality – and where applicable, to have our own blanks manufactured to our own high standards. We also struggled to receive the kind of service that we expected to receive. We were quite shocked at how often suppliers were out of stock of bread and butter items, we were disappointed at the level of customer service we were receiving from many of the blanks & consumables suppliers we had used. This combination of factors lead us to make the decision that we should become a supplier ourselves, so we can offer the quality of products and service that we were seeking ourselves. 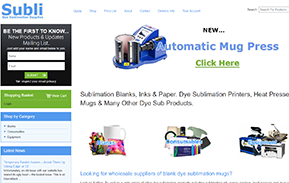 Therefore, in Summer 2011 we launched Subli, and have hit the ground running offering a great service, high quality products and competitive pricing, which has enabled us to quickly develop a base of happy customers. It is our goal to continue to grow the client base within 2012, and offer our great products and service to many more photo printing companies. Copyright 2018 Meshtex Ltd. All rights reserved.